IPserver is a backbone DHCP, Dynamic DNS, and NBNS server engine. IPserver offers carrier-class scalability, fault-tolerant reliability, and complete automation of network configurations, IPserver is the only plug-and-play policy engine specifically engineered to be at the heart of your network infrastructure. DHCP The Dynamic Host Configuration Protocol, centralizes network configuration and automates address assignment, often on a "leased" basis. Dynamic DNS Dynamic Domain Name System, maintains the changing mapping of names to addresses for intranet and broadband subscriber clients. WINS/NBNS Microsoft's name for NetBIOS Name Service (NBNS), provides name to address mapping for NetBIOS-based client-server applications (similar to DNS). Fault Tolerance As core networking infrastructure, only replicated IP services can be deployed with confidence. Alternative backup schemes break down quickly. Scalable Architecture High-performance distributed architecture scales from departmental networks through backbone Enterprise deployments. Remote Management Remotely managed using IPmanager for Windows , or using IPcentral. 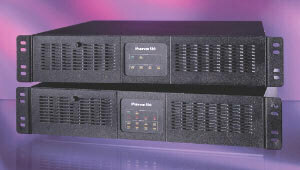 IPserver Hardware Optional plug-and-play hardware solution. Plug in the system, enter an IP address, Subnetmask, and Gateway and IPserver is ready to go. Platform Available as a plug-and-play hardware solution, software for your Intel PC, or a Windows NT/2000/XP service.